You don’t work, you “hustle.” You know the location of every outlet at your local Starbucks. You’ve definitely used the #girlboss hashtag on more than one occasion. In other words, you’ve ditched the traditional nine-to-five to strike out on your own as a freelancer, entrepreneur or small business owner. Whether you’re a seasoned freelancer, a newbie or thinking of leaving the nest for a world of brand-new possibilities, here are some things you need to know if you really want to crush it. First and foremost, you have certain protections under New York state law. As of May 15, 2017, the Freelance Isn’t Free Law Act established the right for freelancers to have a written contract, receive timely and full payment, be protected from retaliation and file complaints. Unlike most tedious and confusing laws, this one is actually very easy to digest. It defines who is and what freelance services are, as well as what hiring parties should know when working with freelancers. It also helps establish when to have a contract (agreements worth $800 or more must have written contracts) and exactly when you should expect to get paid, and provides sample contracts so you don’t have to scour the web looking for an airtight one. Unfortunately, late payments are all too common in the freelance game. If you do run into some trouble with slow—or MIA—checks, there are resources to help get you paid. First, you can file a report by sending an email or letter to the NYC Department of Consumer Affairs and lodging a complaint. Surprisingly, I had a case worker assigned to my complaint within a week. We emailed and spoke on the phone about my particular situation. The department will send a formal complaint on your behalf and explain the process of filing complaints through other civil processes. Alternately, you can hire a virtual accounts receivable service to follow up on those tardy clients. Credit control expert Phoebe Catterall, who has worked with everyone from Fortune 500 businesses to self-employed contractors, suggests the following when a client is past due on an invoice. First, call to verify that they’ve received your invoice and that it’s not a harmless mix-up before getting confrontational. If a client has stopped responding to emails or calls, it’s time to escalate through government entities, a credit control expert or a collections agency (with fair warning via a call or email a week ahead). “In general, the more overdue the invoice is, the bigger risk it is, so once you do realize that you need to bring in help, it’s best to take action ASAP,” says Catterall. What can you do to prevent late payments in the first place? Check out Catterall’s handy checklist. 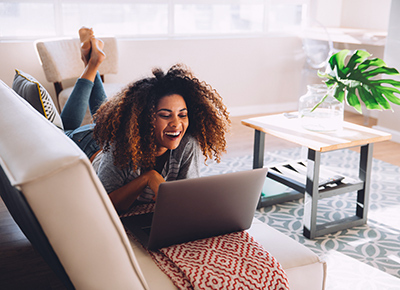 To make the most out of your tax benefits (and avoid being audited), it’s important to stay on top of expenses year-round. Keep a detailed calendar in case you need to revisit your spending for a particular day. “Especially for bloggers, where their personal and business lives blend together, a calendar can make a world of difference,” says Sargent. Other great tools for keeping organized are programs like Xero and Quickbooks Self-Employed (which links up to your credit card and allows you to track deductions). While freelancers do have a higher audit risk, audits are generally sparked by expenses and earnings that are incongruous with their industry. For example: “If you’re a food blogger and you bought a dump truck, that would look odd, but the idea that you have more meals and research expenses is not. There are always some audits, however, that are just totally random,” says Sargent. If you’re wary of handling your freelancer taxes yourself, turning to a pro can be a great option. “Establishing a relationship with an accountant is more than finding someone to fill out forms. We can offer business advice from our experience in your industry, help with strategic planning and sometimes just be that one person you can be honest about your finances with,” says Sargent. Having a personal accountant can cost just a few hundred bucks a year for a (fairly) simple tax return, but the expense can creep up depending on how frequently you work with them. Organization is an art when it comes to freelance life, and there is no one-size-fits-all when it comes to finding the perfect system for you. It can be anything from pen-and-paper checklists, journals and notebooks to email calendars or more in-depth organizational software. Tax software programs like FreshBooks or Wave and a credit control expert (virtual accounts receivable) are great for submitting and keeping track of outstanding invoices (which take much more time than you would think to manage), and some can track business expenses linked to your credit card. Google Sheets, Excel or Toggl can work in a pinch for time tracking. Boomerang, a Gmail add-on, is helpful for scheduling emails to be sent at specific dates and times and can even automatically follow up on an email for you if left unanswered. Meeting people, whether through events, social media or IRL, is especially important when you’re a freelancer. But how do you even get invited to networking events to meet industry peers or potential new clients? To start, join Facebook or Slack groups focused on freelancers within your industry. Many are public, although some require vetting by an administrator (don’t worry, most will let you join as long as you work in a related industry). Tia Meyers, social media consultant and founder of Freelancing Females (8,000 strong), started the group a year ago as a safe place for women to talk about anything from payment to insurance. Other great Facebook groups include The Broad Exchange, Dreamers // Doers, NYC Ad Jobs & Networking, Creative Lady Collective and Branding BFFs, or Slack groups like Ladies Who Strategize and Open Strategy. And many groups host events in real life, so it’s always a good idea to check back often to see if there is an event near you. Instagram has also totally changed the networking game—you can actually slide into the DMs of an industry peer and ask them to meet for a cup of coffee (or matcha) to talk shop or brainstorm collaboration opportunities. Of course, make sure you have an established “social relationship” first, because as friendly as Instagram is, it’s safe to assume fellow freelancers are incredibly busy and may not feel comfortable giving away free industry advice to just anyone. A friendly ask for a call or an email is worth a shot too. Create separate professional social media profiles that reflect your personality but also show off your work (sorry, no cat pics or late-night group photos here). No matter if you are a designer, illustrator, artist, photographer or chef, post past client designs, pieces or commissions on your profile. Even an accountant can inject personality, humor and professionalism into their social profiles. Free and easy-to-use websites like Squarespace, WordPress or Wix will help you create a site, portfolio or blog that makes your work shine. And business cards still matter—in many ways, they serve as a first impression. Stores like Staples and Home Depot offer basic templates and designs, or you can check out Moo for quirky tailored designs.